Nebraska (1-0) kept things way too close for comfort for the 90,000-plus in attendance, but did just enough to survive and grab a 43-36 season-opening win over Arkansas State (0-1) on Saturday night. A garbage time score from Arkansas State seemed just that, meaningless, until an onside kick recovery put the Red Wolves at midfield down just seven. A few completions and a personal foul on safety Antonio Reed put the Red Wolves at the 11-yard-line with nine seconds left. It came down to the final play, but the Husker defense answered the call, forcing an incompletion. Transfer quarterback Tanner Lee and the new-look 3-4 defense implemented by new defensive coordinator Bob Diaco were supposed to be the main storylines of the night, then sophomore Tre Bryant stole the show. The second-year back racked up 31 carries for an eye-catching 192 yards and a score. He became the just the second back in the Mike Riley era to surpass 150 rushing yards in a game, and he made it look easy. Heading into the game, Bryant was listed as a co-starter with juniors Mikale Wilbon and Devine Ozigbo. Wilbon received just two carries on the night – even though one was a red zone touch that resulted in his first career touchdown – and Ozigbo didn’t touch the ball at all. Bryant was that good. 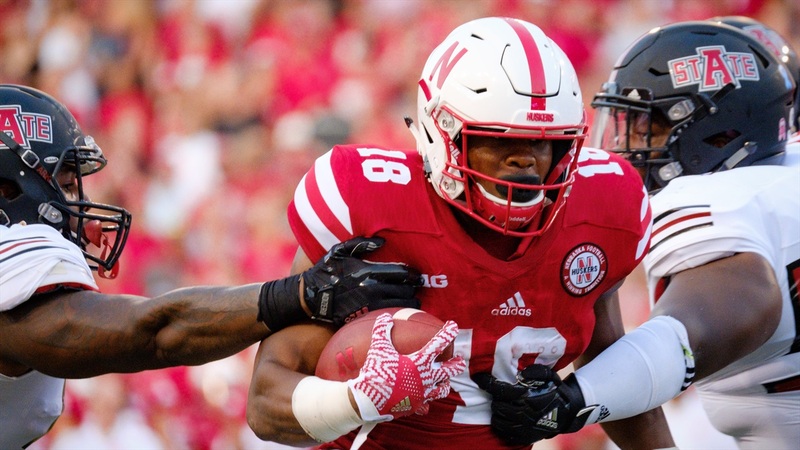 All camp long, the Nebraska coaching staff stressed the desire to find a go-to running back, they now appear to have one in Bryant heading into a week two matchup with Oregon on the road. Bryant popped a long of 35 yards, had five runs further than 10 yards and averaged just under seven yards a tote. Bryant’s strong game spearheaded a rushing attack that amassed 225 yards on the day. It also meant balance on offense. Lee wasn’t a superstar, he was just 19-for-32 passing, but had 238 yards and two scores with no turnovers. On the day, junior wide receiver Stanley Morgan Jr. was easily his favorite target. The two hooked up for a 44-yard touchdown late in the first quarter and Morgan was just one yard shy of his career high (93 receiving yards) by halftime. He finished with 102 yards on five catches, a career-high and his first 100-yard game of his career. Next up for the Huskers is Oregon, whom they’ll meet in Eugene, Oregon, next Saturday.